Senators may have set the stage for a major confrontation between them and the Code of Conduct Tribunal (CCT) over Senate President Bukola Saraki’s trial for alleged falsification of assets. The Senate Committee on Ethics, Privileges and Public Petitions yesterday summoned CCT Chairman Justice Danladi Umar over allegations of corruption against him. The invitation, coming on a day Justice Umar said Saraki’s trial will run daily, appeared a new twist to the matter. In a letter signed yesterday by the Clerk of the Committee, Freedom Odolo,the Senate asked Justice Umar to appear unfailingly by 2pm on Thursday. But Justice Umar replied the committee that he has a court sitting on Thursday and throughout the week. He said he would not be available until after the court sittings, which is on Saraki’s trial. The invitation letter was delivered to the CCT chairman shortly after he ruled that the tribunal will be sitting daily from 9am to 6pm. The committee said: “Your letter with reference number CCT/HQ/ 126/S/ 111/ 515 dated 1st April, 2016 in which you requested for more time to enable you attend the hearing was received. “After due consideration of your request, the Committee rescheduled the hearing to give you at least two weeks from the 4th of April when you should have appeared. A source said: “The battle line is drawn between the Senate and the CCT chairman. Some Senators are angry over his decision to allow the tribunal to sit from 9am to 6pm. “They saw the CCT Chairman’s decision as a plot to deny Saraki any opportunity to preside over the Senate plenary throughout his trial. “Now, these Senators have also launched a counter-attack against the CCT chairman by revisiting the outstanding petition against the judge. 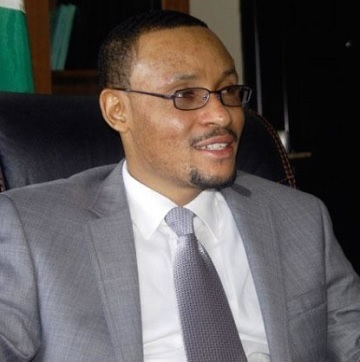 But a source in CCT said: “The judge has asked the Registrar of the tribunal to write the Senate committee that he has a court sitting on Thursday and throughout the week and won’t be able to honour the summons.